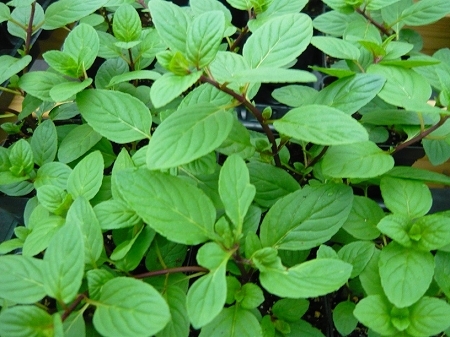 French Peppermint (mentha x piperita 'french')- Light and refreshing scent and flavor. This hard to find variety features attractive rounded green leaves and dark stems. Makes an attractive container plant. Same use as regular spearmint for tea and culinary purposes. Easy to grow perennial zones 4-10. Live plant in 3 inch container.